Savvy contract managers often take proactive steps to minimize risks when entering contractual transactions. One common strategy is to include a best efforts clause in the document that details the specific terms of a transaction. However, the judicial system has provided different legal interpretations across jurisdictions, and even within jurisdictions. This doesn’t help either party. One party will be pressing to set a lower standard, while the other will be pushing for a higher one. In this article, we will provide an overview and analysis of best efforts clause practices. Editor’s Note: To learn more, download our whitepaper on the top 10 best practices for contract management. In this article, we will provide an overview and analysis of best efforts clause practices to help mitigate risk. Clauses that set the terms of “best efforts” or “commercially reasonable efforts” vary greatly. And their interpretation by courts varies even more. Selecting the appropriate clause template from the library of your contract management system should be done with care because the interpretation of “best” and “reasonable” varies by jurisdiction. For example, courts in the State of Delaware set a higher standard for “best” than for “reasonable” standards. However, courts in the State of New York deem “best efforts” and “reasonable efforts” as interchangeable terms (see Soroof Trading Dev. Co., Ltd. v. GE Fuel Cell Sys., LLC in 2012). Contract managers should do their due diligence about the jurisdiction within which their contracts will fall and ensure they have an approved library of clause templates to address the different use cases. Choosing the right terms is good, but providing context for those terms is best. A review of court decisions in cases involving best efforts clauses indicates that courts can take a very broad view regarding the enforceability of these type of provisions. To reduce the level of ambiguity regarding “best efforts” and “commercially reasonable efforts” clauses, the American Bar Association recommends establishing an analytical framework to address the use of your selected term. The association provides an example used by the Fifth Circuit in the ruling of Herrmann Holdings Ltd. v. Lucent Technologies Inc. in the jurisdiction of Texas. Having guidelines that establish the context of the use of “best efforts” and “commercially reasonable efforts” are a best practice because they are more likely to limit the range of possible interpretation. Within a set of guidelines that outlines stipulations for best efforts or commercially reasonable efforts, timely performance stands out because it is an important item to determine whether or not a party has incurred a breach of contract. The American Bar Association suggests that key deadlines should be deemed as “material terms” in best efforts clauses in order to obtain all foreseeable damages in case the other party should cancel or repeal a contract. Another best practice when using best efforts or commercially reasonable clauses is to use them consistently. While it is understandable that you need to make some concessions with some longtime clients in order to keep their business, you’re opening the door for alternative interpretations of your clauses in case of trial. If relationships were to sour, your client could successfully argue that a lower standard is applicable because the situation at hand is similar to that (or those) in which you provided a concession. If you have to make a concession for a lower standard, it is a good idea to update the contract to indicate that this was a one-time or special situation. Best effort clauses are useful tools to keep your contracts running smoothly and cover your organization in case of a breach of contract by other parties. 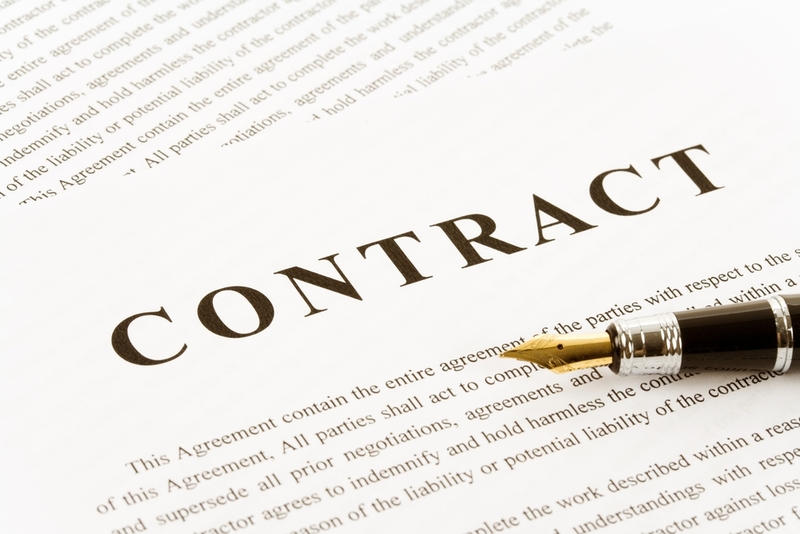 However, be flexible enough to identify contracts that don’t need such clauses. Some transactions may be so small that trying to impose a best efforts clause may be a deal breaker.